Google’s Pixel 3 is expected to be launched by October 2018. The Pixel 2 and Pixel 2 XL were solid flagship phones and finally were accepted to be genuine challengers to the iPhone. The new concept images are not official. Rather, they were created by graphic designer Concept Creator – and so may not be accurate at all. However, the images went viral, and initial responses of the tech and gadget community seem to be quite positive about the design direction. After acquiring the HTC smartphone team, Google has its own hardware division at its disposal. So, the upcoming phone is likely to be a huge step up from Pixel 2 and XL. For now, Google has remained tight-lipped about the Pixel 3. With Google Pixel’s sales dipping in 2017, the company desperately needs a new and innovative new model as their next flagship. Reports say that Google only sold 3.9 million Pixels in the previous year. If the upcoming phone looks like the concept images, then the company can possibly expect a substantial increase in sales.The predecessors of Pixel 3 all used the latest Qualcomm platform at the time. The upcoming phone is set to go for the Snapdragon 845 SoC. 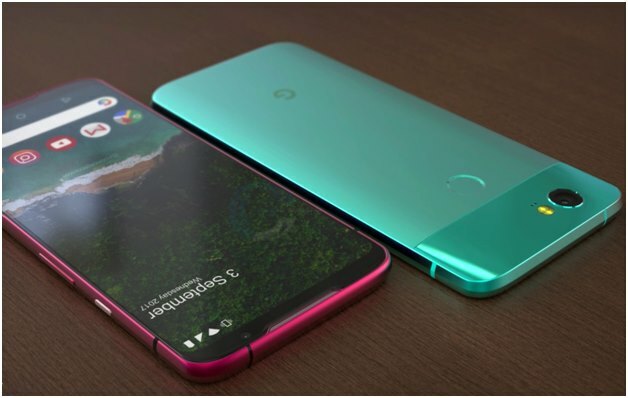 There is no confirmation that the next generation of phones from Google would be called Pixel 3, but it is widely expected to be so. Now talking about the concepts leaked, the phone will come with Qualcomm Snapdragon CPU and a decent 6 GB RAM, all in accordance with recent smartphones already releasing this year. It will likely be given Android P, the latest version in the market, with support for notches. But, renders show that the phone will not feature notches on the top or the bottom. According to reports from a trusted source, there may be three models in the works, code-named: ‘crosshatch’, ‘albacore’ and ‘blueline’. Two of these devices will be considered as ‘premium devices’ and the last phone will fall into the category of ‘high-end’. According to previous trends, if Google follows its release patterns, the upcoming phone will be released on 18 October 2018. Google is said to be working on an iris scanner to replace 3D face sensing, and it may incorporate the same in the upcoming flagship phone.